(TORONTO) – Confident and smooth performance, a go-anywhere attitude and distinctive luxury and comfort are hallmarks of the Lexus LX series full-size luxury SUV – and the 2010 Lexus LX 570 delivers more of what Canadians love about this vehicle, with additional luxury appointments, entertainment now included as standard equipment, and new available safety features. Available in a choice of two trim levels, the LX 570 delivers full-size luxury that is both refined and outgoing for up to eight travellers. Privacy glass for the rear hatch. A powerful yet efficient 5.7L V8 that delivers smooth responsive performance – up to 383 horsepower and up to 403 lb-ft of torque – and a Tier 2 Bin 5 emissions rating. A fuel consumption rating of 17.1L/100km in the city and 11.4L/100km on the highway with a Tier 2 Bin 5 emissions rating. A highly-efficient six-speed automatic super ECT transmission for ultra-smooth shifts, robust acceleration across a broad speed range. Full-time four-wheel drive for the ultimate in driving confidence. The 2010 Lexus LX 570 with Ultra Premium Package, with a suggested starting price of $100,300, enhances an already great go-anywhere full-size luxury SUV with additional luxury, safety and convenience features. These include: a 450-watt Mark Levinson Reference Surround Sound Audio System with six-disc DVD changer and 19 speakers in a 7.1 channel architecture; a rear seat DVD entertainment system with a 9” power LCD screen, two sets of wireless headphones and an audio/DVD remote control; the Lexus Pre-Collision System; dynamic radar cruise control; premium leather seat surfaces; a front console cool box; special African Bubinga Wood trim; a unique alloy wheel finish; and illuminated “Lexus” scuff plates. 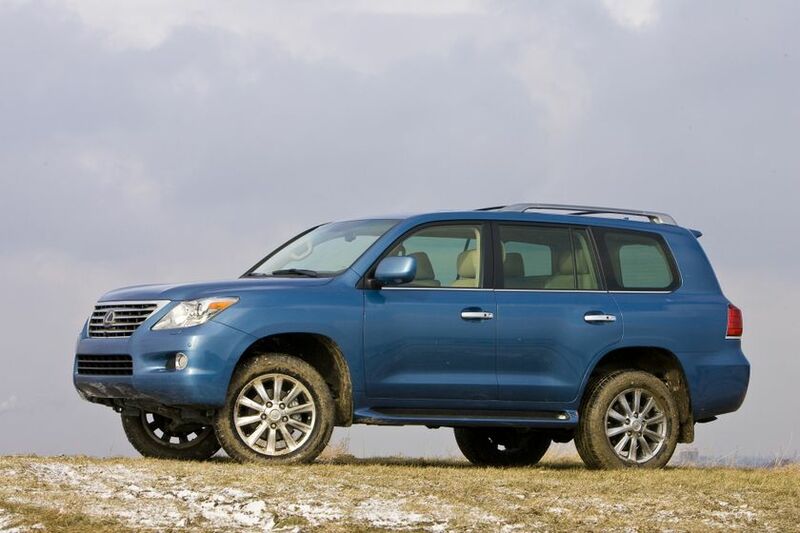 The 2010 Lexus LX 570 is now on sale across Canada.